I’ve had my eye on visiting the Isles of Scilly for a really long time. But there has been one thing which has always put off: the cost. Not only is it £100 return on the ferry to even get to the islands, but the islands only budget option was camping. Now, I do love camping, but with unpredictable British weather, I also love a good hostel. 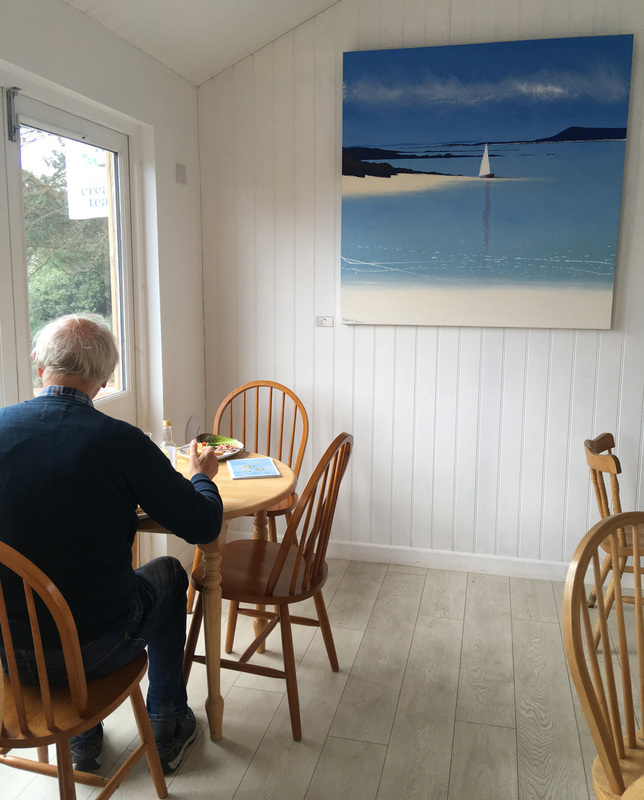 As me and Dad began to put our trip together in September, I was thrilled to find out that the islands first brand new hostel had opened its doors this summer. So we booked up straight away. After docking into Hugh Town on the 3-hour ferry from Penzance, we decided to find the hostel on foot, so we could get a little introduction and feel for the island. With our bags being delivered by the ferry company, we were free to make the leisurely half-hour stroll inland. From the dock, we found our way into cute little Hugh Town, the streets lined with gift shops selling local fudge and souvenirs, the road hugging the coastline for a short distance before heading uphill and inland. With few cars, the stroll was a peaceful one, and we soon spotted a sign to the left, directing us past allotments and a group of houses before a little wooden sign directed us to the cafe/hostel. We were greeted warmly by one of the owners, who explained that the hostel had only opened in May with help from European funding. 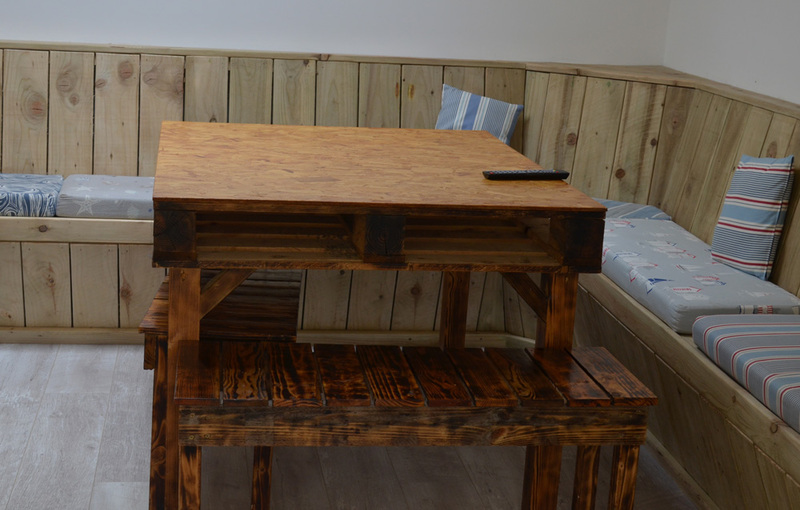 A labour of love, both the cafe and the hostel is run by two sisters with help from family members. 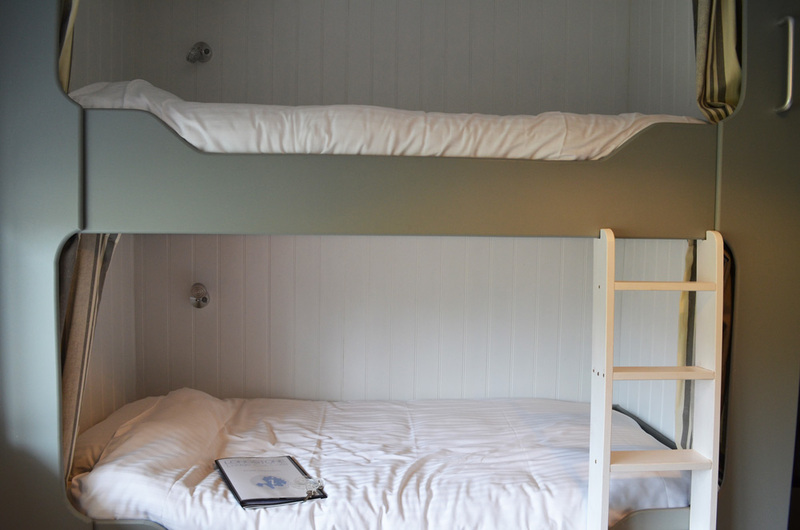 We were given two keys to our room, a cosy 6-bed dorm with an en-suite bathroom. I loved the homely little touches of a bedside light and the privacy curtain you could pull across if you are keen for an early night! The lodge also has a number of private rooms, both twin and doubles. There was also a guest information book info about the hostel and surrounding islands, plus the tempting cafe menu where we planned to head for lunch. 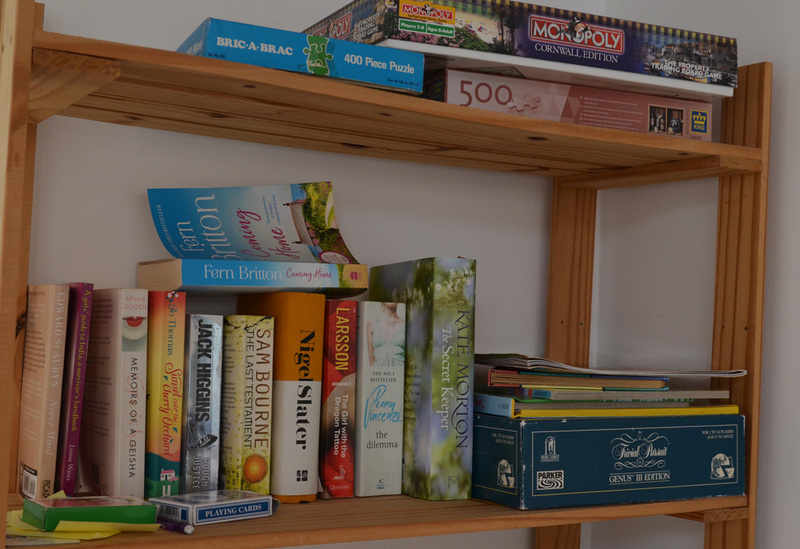 Our bags turned up shortly after we arrived, and after unpacking, I had a quick nose around the rest of the hostel to find an amazingly well-equipped kitchen and a cosy little corner with board games and books, including my favourite cookbook by Nigel Slater. The hostel’s Wifi was also nice and strong to be able to catch up posting my Instagram stories from the morning’s ferry crossing. 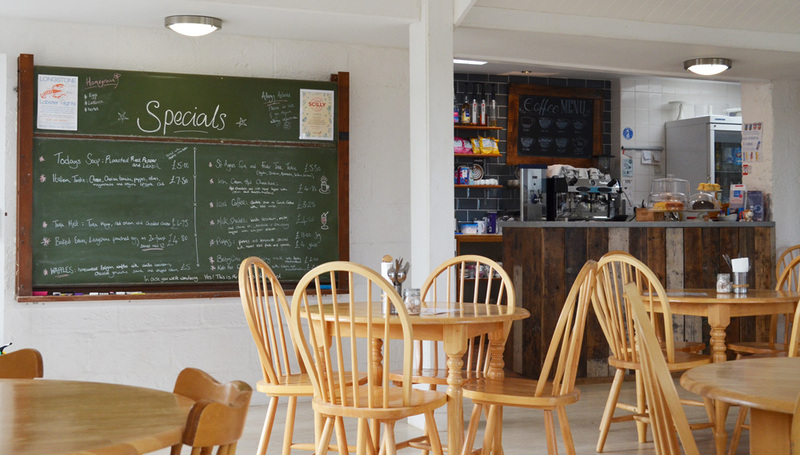 With our tummies rumbling, we made our way past reception and into the spacious cafe, which is open every day from 10-4 (summer hours, may vary in winter). 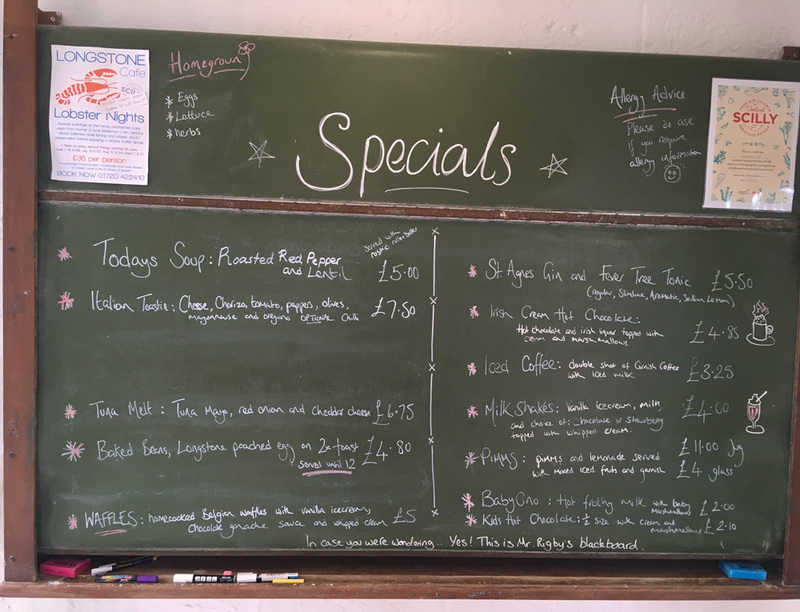 I loved the quicky touch of an old blackboard displaying the day’s specials. 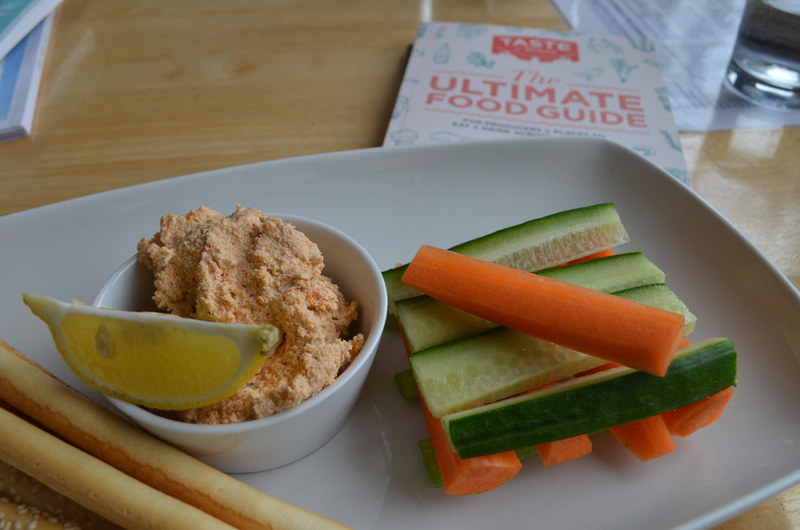 Dad and I tucked into hot paninis, and I also treated myself to the locally caught crab pate and we rounded it off with the fluffiest homemade lemon drizzle cake. In the summer months, the cafe has been running a popular lobster buffet night, caught by Colin a local fisherman. Refuelled, we took a walk up to the north end of the island, before ducking back into the hostel briefly to get changed. Feeling lazy after a long days travelling, we walked back into Hugh Town for a hearty dinner of lamb cutlets at the Mermaid Inn. Stuffed and happy, Dad decided we’d had enough of walking for the day, and we called the friendly Toots Taxi’s for a lift back to the hostel for £6. As we got out the taxi, the lack of light pollution allowed for 5 minutes of spectacular star gazing. 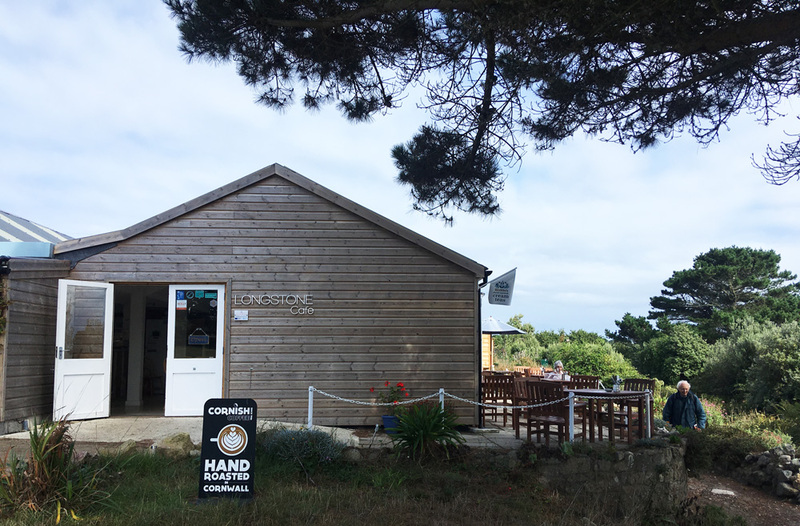 Back at the hostel, we had a quick chat with two other ladies in our dorm room who had been there for most of the week, filling us with their tales of snorkelling with seals on St Martins to nature walks with the knowledgeable Will Wagstaff. As I snuggled into my top bunk bed, I pulled across my curtain to create a cosy nook and felt excited for the coming days on the islands. After a peaceful and cosy nights sleep, I rose early and went for a quick jog around the surrounding lanes and neighbouring vineyard, and wished I’d bought some money as the farm down the lane were selling eggs! Sadly, we only had one night at the hostel as it was fully booked for the weekend and we were moving to a B&B in Hugh Town for our final two nights (we only booked 10 days before as Dad decided he fancied an island adventure at the last minute!). 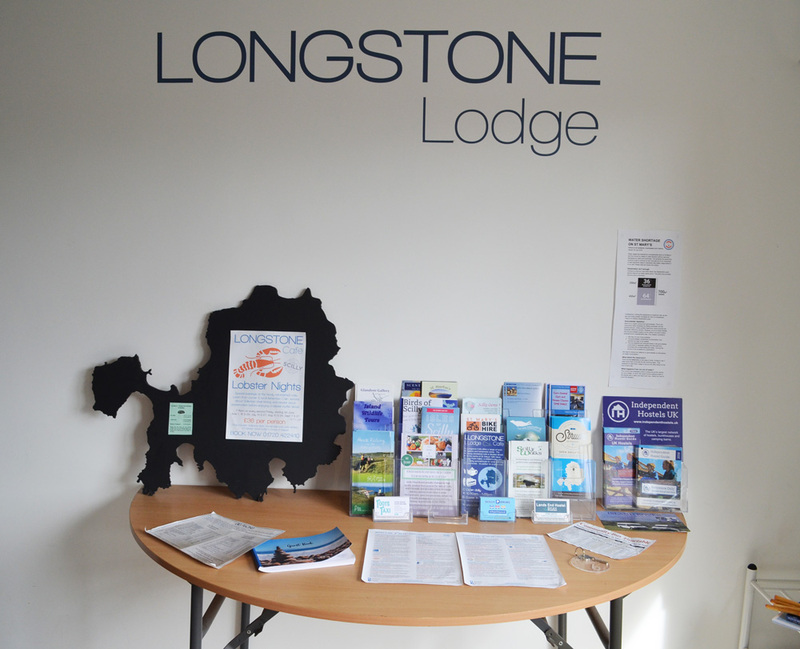 I would have happily spent all of our nights at Longstone Lodge whilst here on the islands. The only tiny downside is that it was a 20-30minute walk to Hugh Town, but if you feeling lazy you could either get a taxi or even hire one of the golf buggies people use to get around town! 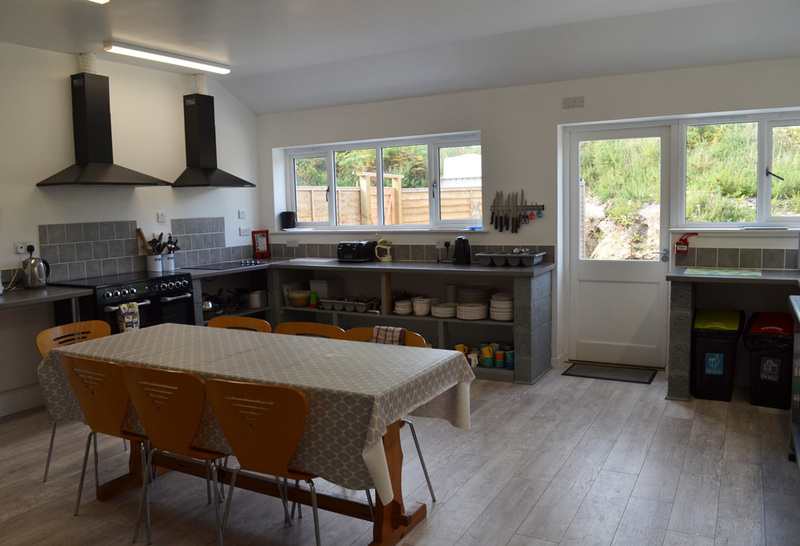 I would have definitely made use of the kitchen too, as there was a lovely deli in Hugh Town selling local crab and plenty of honesty boxes selling local veggies. 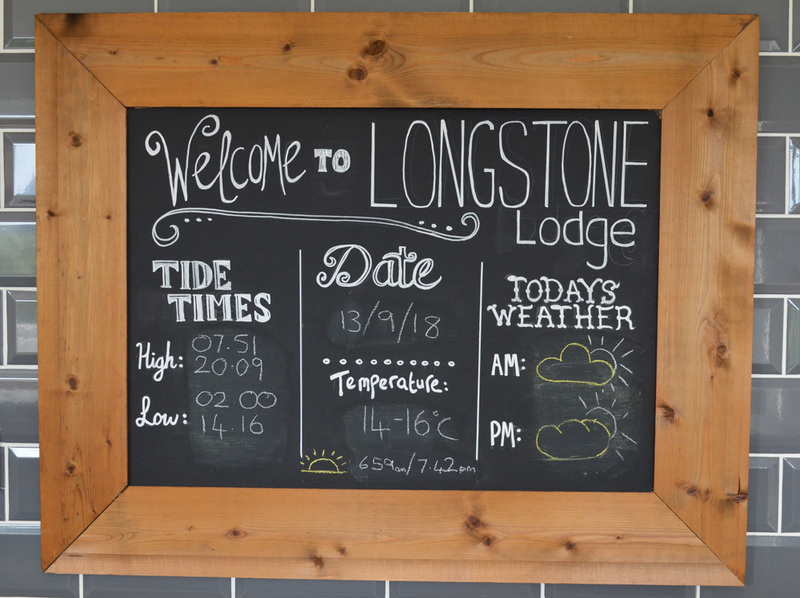 If you are planning a budget conscious trip, I would definitely recommend using Longstone Lodge as a base for your island adventure. 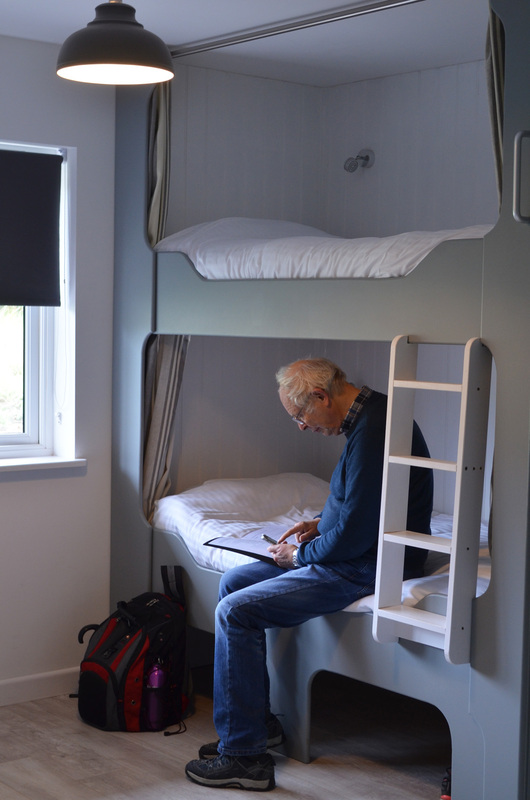 In 2018, dorm rooms started at £24 per night, privates from £30. Catch up with my trip to the Isles of Scilly on my Instagram Highlights!